Finely crafted from North American Hardwoods, sanded & ready to finish in either stain or paint. 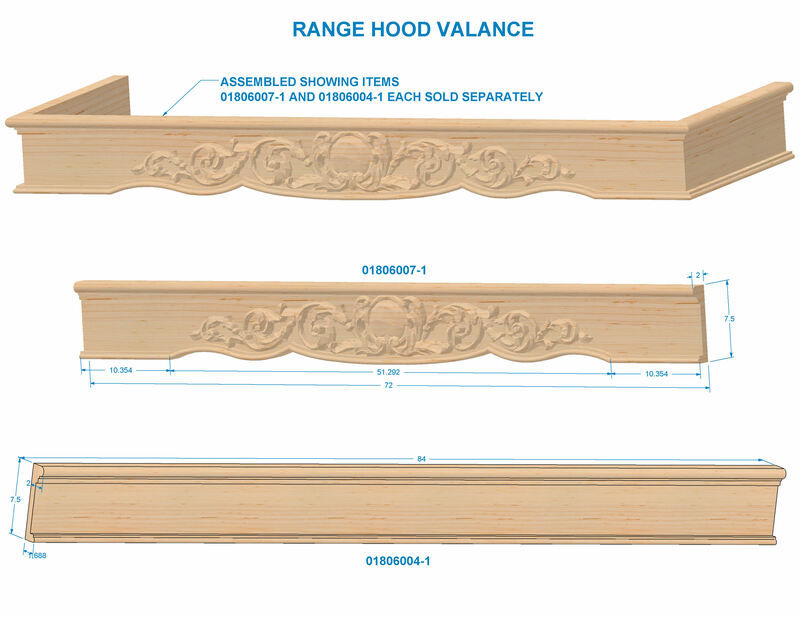 Use with Part Number 01806007-1 Acanthus range hood moulding to create a decorative hood. Use the Hand Carved Traditional Range Hood Valance to add simple, yet refined detail to hoods and ranges, windows, cabinetry and more. The Traditional Range Hood Valance is available in Cherry and Hard Maple, and is part of our Modern Farmhouse Collection. Shop matching components in our Modern Farmhouse Collection.